General Hospital Spoilers: Will Liz Turn Hayden into the Police? 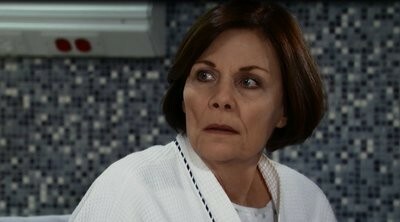 This week on General Hospital, Liz has learned the shocking truth to who Hayden really is! Laura tries to talk Liz out of calling the police. SNEAK PEEK: Liz wants to turn Hayden into the police. Can Laura talk her out of it? Tracy has a plan for ELQ that involves her secret weapon. Morgan is determined to get his life back. Anna joins forces with an unlikely source. Jason feels an emotional pull to the Quartermaines. Nathan shares more details of his past with Maxie.